I’m not exactly a country girl, so I was as surprised as anyone that a pilgrimage to paradise meant trekking to rural Georgia. 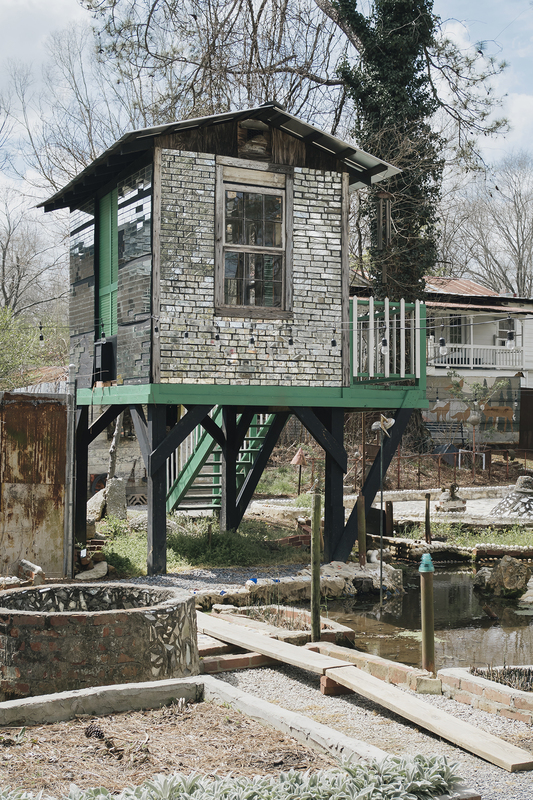 The chance to visit a Baptist preacher-turned-outsider artist’s kitschy studio? Too unique to pass up, so we set off for Summerville, GA. I didn’t anticipate feeling so connected to Howard Finster’s Paradise Garden or so welcomed by some of the locals. That feeling of being shaken out of your comfort zone? It’s one of the best parts of travel, especially in your own country. Whether you’re looking for art, grub, or inspiration, our guide to Summerville and the surrounding area has you covered. 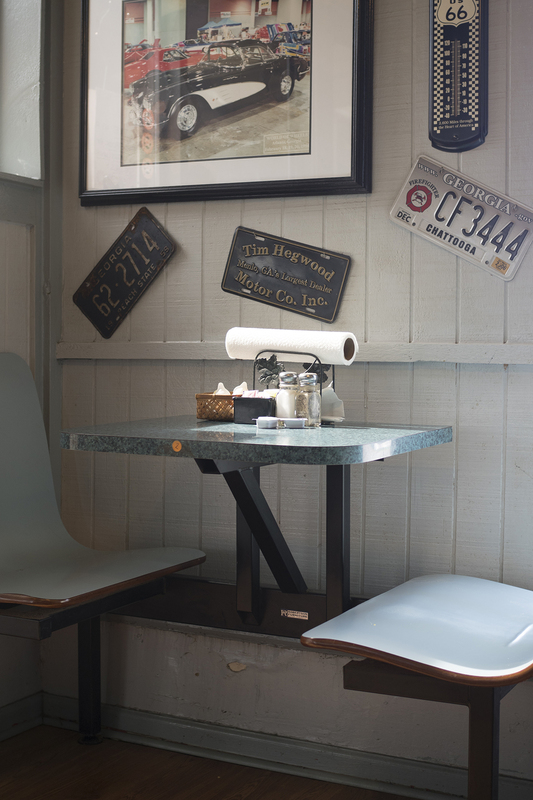 This trip is deep-fried, small town Americana with a side of funky fixin’s. 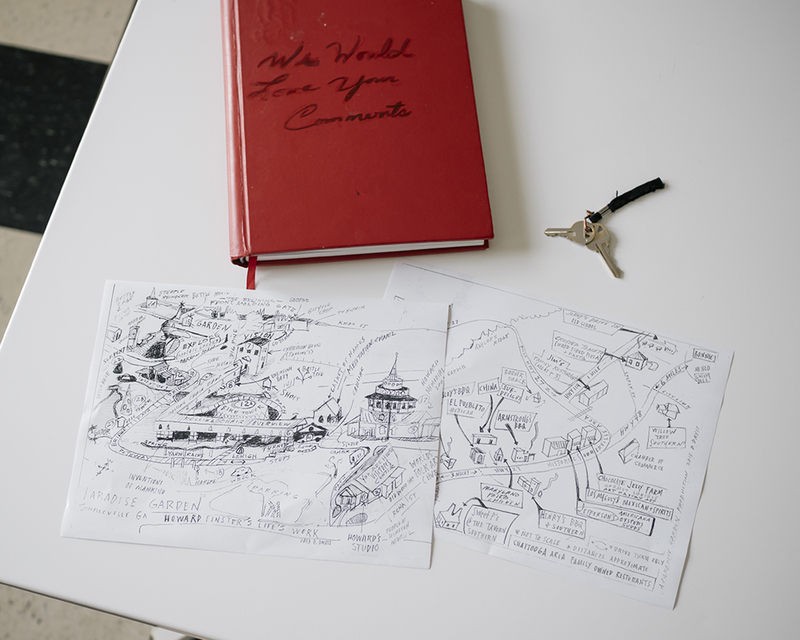 After arriving in town, we let the locals be our guide – even when they threw in a detour to Alabama! You’ll start at the roadside diner where locals line up at 5:30 a.m. and end on top of a waterfall. A set of wheels is a must for this classic Southern road trip. Start your journey in Atlanta and take I-75 N to GA-140 W. Then, take US-27 N to N. Lewis St. Plan on two hours but traffic and time of day may make for a longer journey. 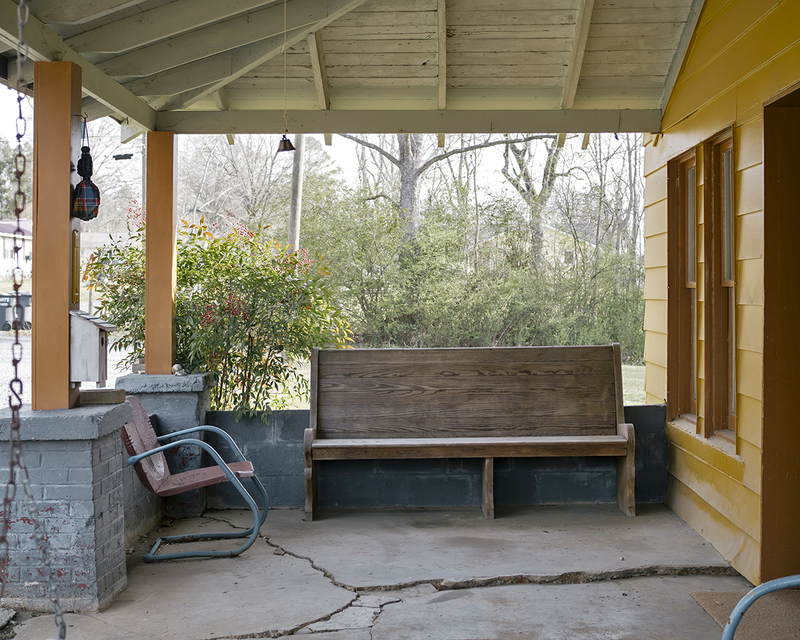 Get the full-on Paradise Garden experience by spending the night in the Artist in Residence Cottage. 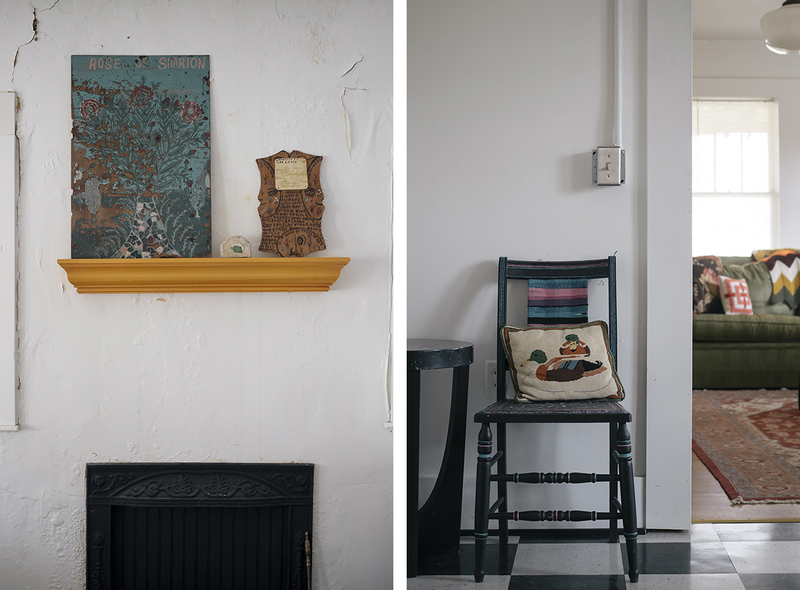 It’s burstin’ with artwork and vintage touches. Who needs rock star parking when you’re steps away from the entrance to Howard Finster's Paradise Garden! Reservations include unlimited access including after hours entry. Check out all the awesome by moonlight and let the magic wash over you. Availability is limited so book ahead. A pork plate for breakfast? Trust. 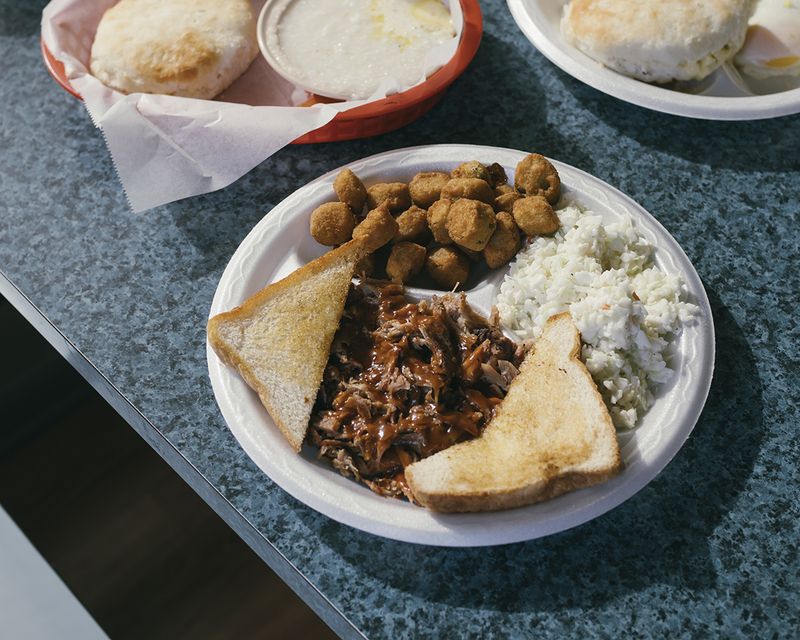 The locals be up before dawn to start their day with Henry’s grubbin’ BBQ. Load up on Southern favorites like biscuits kissed with sunny dots of butter, grits, and the house-smoked sausage or bacon. The staff is the epitome of Southern hospitality. Tell Caitlan we sent you! On your way back to Paradise Gardens, look out for Ye Olde Trade Grounds (US-27 and Smith Rd.). People flock from all over Chattooga County every Tuesday and Saturday for the Trade Day flea market at this parking lot. Browse everything from vintage jewelry to hunting knives, but the best deal is just gabbin’ with locals. Paradise Garden was built by retired preacher Howard Finster when a vision told him to paint sacred art in 1976. 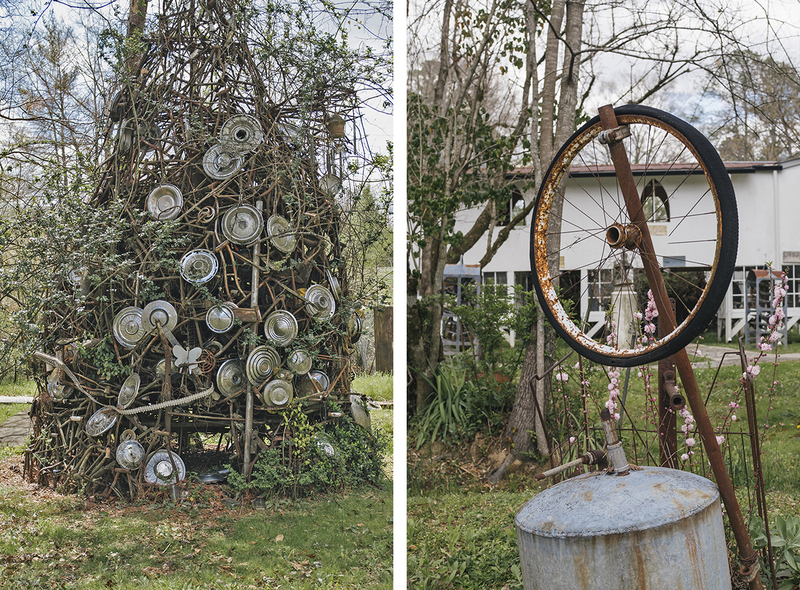 He spent the rest of his life spreading his message by creating folk art and expanding his garden. 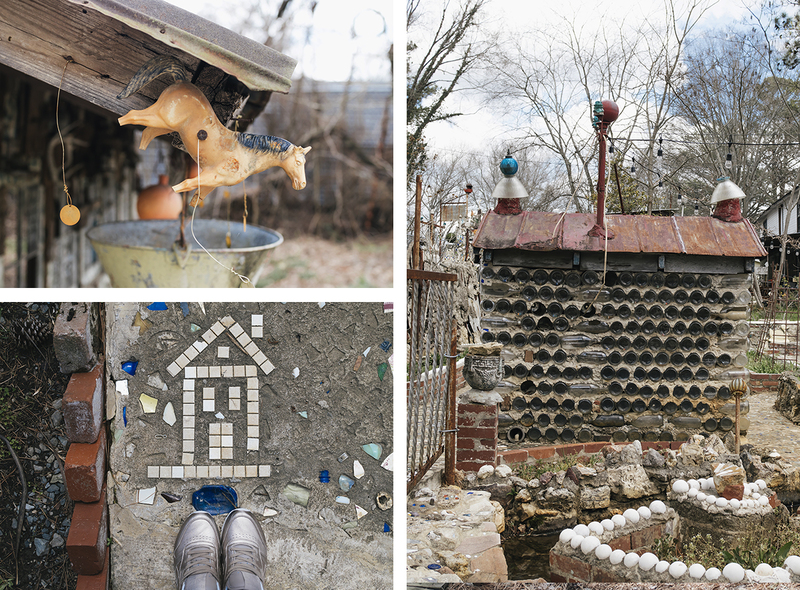 The grounds are a wonderland of weird, featuring everyday bric-a-brac turned awesomeness. 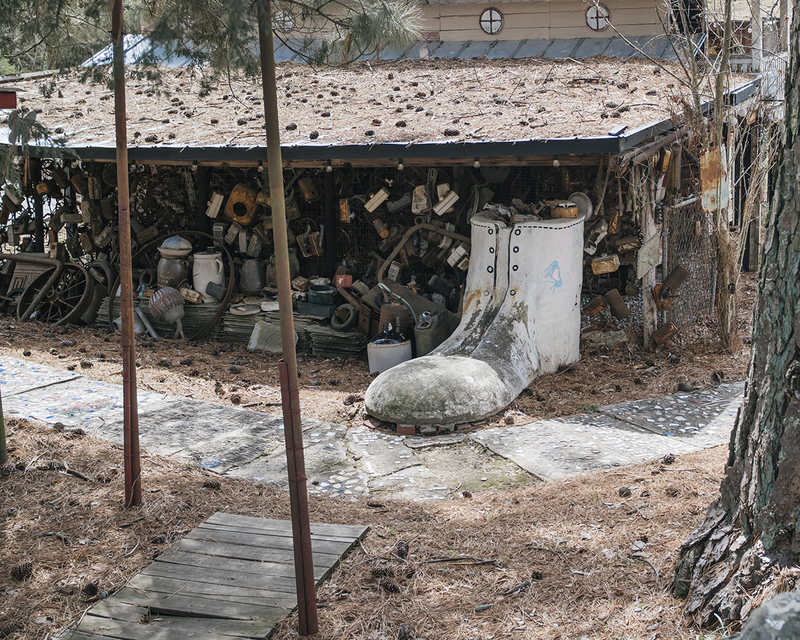 Watch your reflection multiply in the glittering Mirror House, try to count hubcaps amassed into a 20-foot-tall tower, and enjoy the gentle stream running through this outsider playground. If Finster’s work seems familiar you may have seen the album covers he created for R.E.M. and the Talking Heads. Protip – watch the short video shown in the visitor center for a glimpse of Finster serenading Johnny Carson by banjo. Alabama? Hey, we go where the locals tell us. 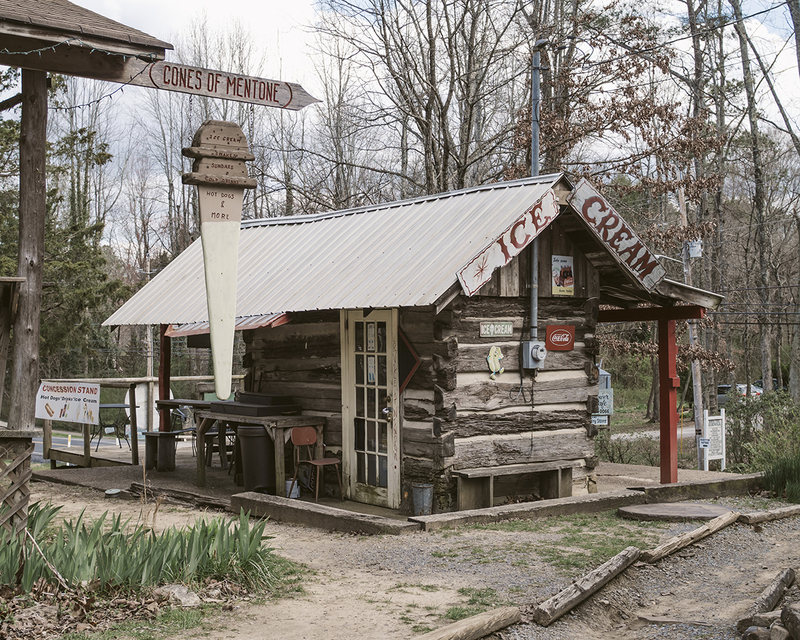 Drive NW for roughly 30 minutes from Summerville to Mentone on GA-48 W then AL-117 N.
This tiny mountain town is home to a surprisingly eclectic collection of artisans, craftspeople, and souvenir stores. 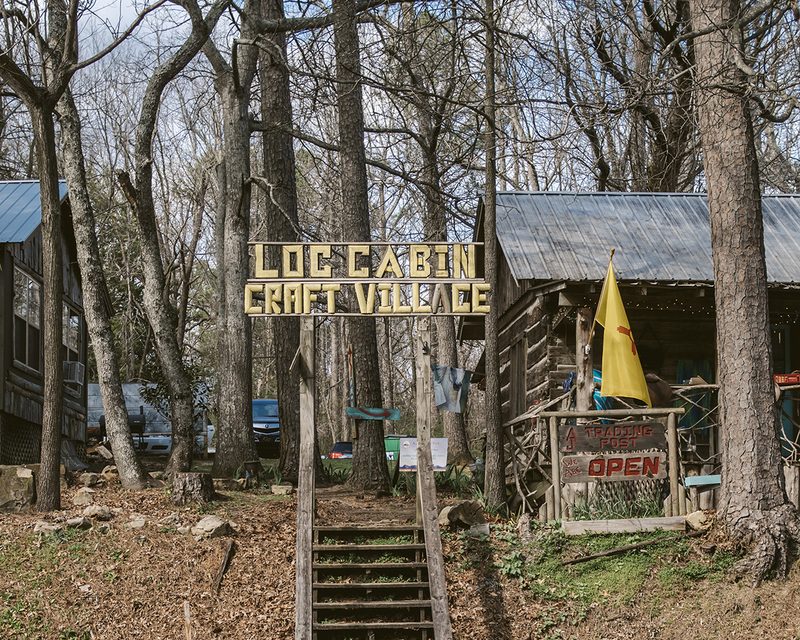 Look for the group of log cabins that’s been converted to shops. The biggest surprise? A Dutch woman who moved from Seattle to Alabama and spends half the year sourcing goods for her shop in Ecuador and Peru! 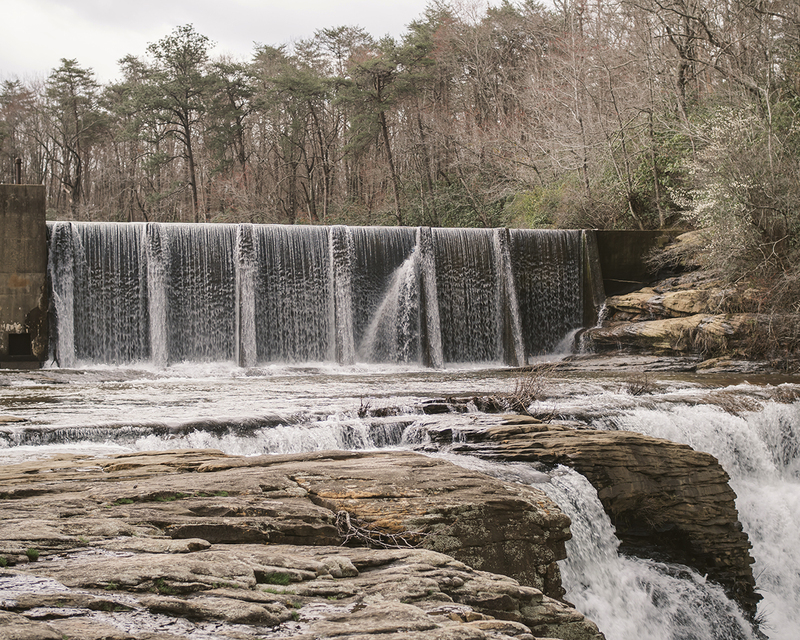 A quick 10 minute drive and you’ll be lookin’ out at Alabama’s highest waterfall! Head west on AL-117 N and turn left onto Co Rd 613 until it dead ends at the DeSoto Falls Recreation Area. An easy two-mile hike will take you through the lush Chattahoochee National Forest and back. Or just sit and admire the powerful 104-foot falls as they dive into the gorge below. Soak in the natural wonder before hitting the road back to Atlanta.